Fancy a day of relaxing to take your mind of that long flight from Gatwick airport on a family or business trip? Here at Spa and Hotel Break we have a few superbly positioned spa day venues that are only a short distance for the airport. Take your mind off that flight by spending the day indulging in all of the available spa facilities at the hotel and taking in a couple of treatments to give you the best possible start to a trip away. 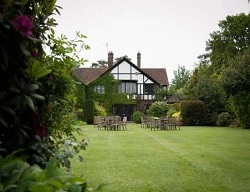 Within this area we have spa days at the glorious four star Felbridge Hotel & Spa located in its own grounds in East Grinstead - close to all major roads with great access. We also have the Cisswood House - a wonderful break greets anyone who decides on this venue – also only a 15 minute drive from the seaside resort of Brighton. Whichever location you decide on a few things are guaranteed, a wonderful relaxing spa day in West Sussex, simply sublime treatments and fantastic service. With so much locally, you may decide on an overnight stay to fit it all in.